CMR Jnanadhara was established in 1991 as a tribute to the late Sri Chikka Muniyappa Reddy, who believed that every individual deserves access to quality education. 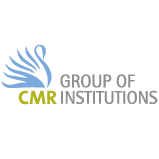 Today, CMR consists of 20 institutions ranging from Montessori, K-12 Schools to postgraduate programmes in engineering, education, law, management, sciences, psychology, nursing and paramedical. With a total of approximately 15,000 students from across India and an international student body from over 58 countries, these institutions promote academic and professional excellence in their respective fields. In 2013, by the CMR University Act passed by the Government of Karnataka, CMR University was established. It is the first of its kind in the country, with a mission to nurture creative thinkers who will drive positive global change. National Public Schools, Bangalore, has become synonymous with quality all-round education and academic excellence in India. Armed with over five decades of experience, the National Public Schools are considered pioneers in school education. The NPS Institutions have an established reputation for upholding the highest standards in education and hold an enviable track record of top results in all CBSE, IGCSE and IB examinations, and has a consistent track record of high achieving alumni.